SWAG this weekend works for regular avatars, dinkies and tinies, and seats four people at a time. The poses and animations are adjustable. You get a rotating version and one without rotation. The Pirate Party Float is mesh and 5Li. 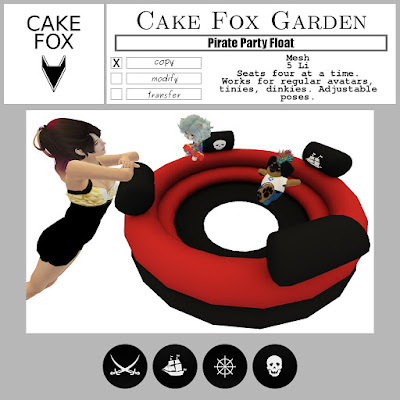 Get it for only 50L$ during this weekend at the Cake Fox SWAG location.